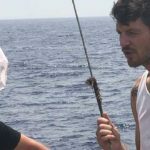 29 Jul 2018 – New Matilda editor Chris Graham reports from the Al Awda, a lead ship steaming through the Mediterranean Sea about 24 hours from an attempt to break the Israeli naval blockade on the Palestinian people of Gaza. 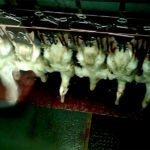 Shocking footage of duck farming in Australia has emerged showing day-old ducklings being dropped into an industrial shredder, adult ducks being kicked and thrown around a barn by workers, and ducks which should have been stunned before slaughter hanging by their feet on a conveyor belt while they bleed to death after having their throats slit. It’s official. Mowing down a 14-year-old boy is worth three years in jail. Almost. Chris Graham looks at the outcome in the trial of the man who killed Elijah Doughty, and the litany of justice system failures that preceded it. And a warning to Aboriginal and Torres Strait Islander readers, this story contains images of persons who are deceased. Anti-whaling activism out of Australia just got a whole lot smarter, faster and flashier. Not to mention scarier. On May 31 , John Pilger’s latest film, Utopia will air on SBS television. New Matilda owner/editor Chris Graham worked as an Associate Producer on the film. In this special feature, he provides an inside look at the making of Utopia.